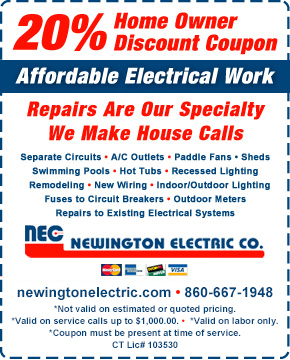 When it comes to residential electrician repairs, Newington Electric is a recognized leader in the Connecticut electrical industry. When you call NEC, you can talk directly to our Residential Service Dept. and in most cases get a quote right over the phone. We'll have an electrician out helping you in no time. In the business for over 50 years, we know and understand what our customers are looking for and our professional electricians understand what you need. 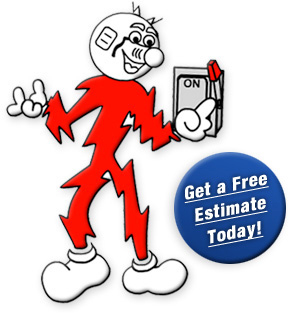 If you're looking for fast dependable electrical service in CT at an affordable price, then contact us today. Don't forget, Newington Electric Co. is your #1 choice for Residential Generator Systems in Connecticut. Newington Electric's Residential Generators are available in two types: fully automatic and manual electric start portables. Let one of our expert electricians help you today!